Product code: ES6044 Categories: Sold Items, Sold Rings. Absolutely perfect as a diamond engagement ring is this very elegant ring made over 100 years ago and still looking so beautiful. 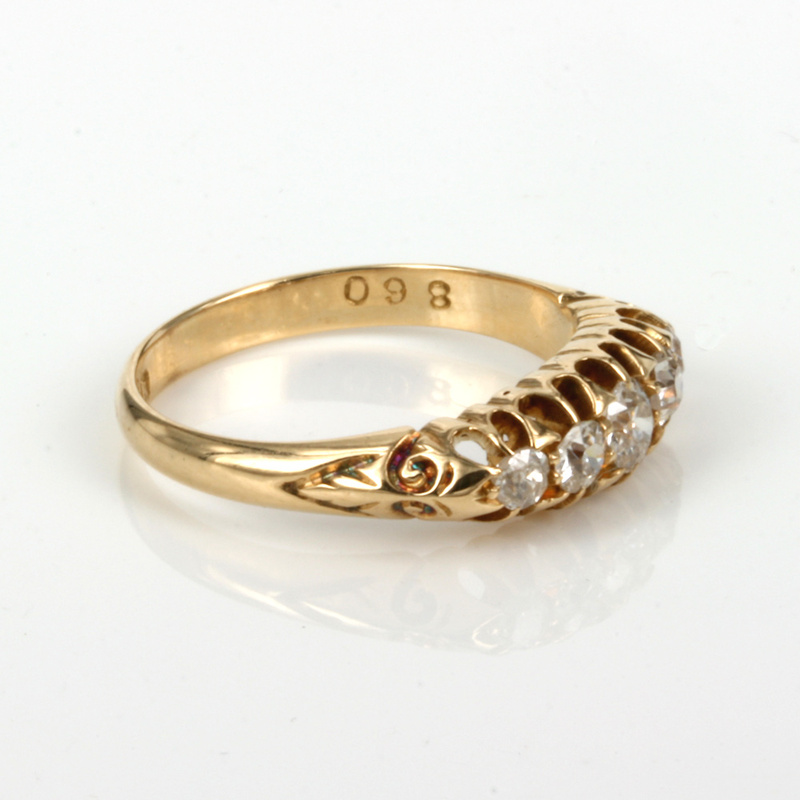 Made in 18ct yellow gold in Birmingham in 1909, the ring is claw set with five European cut diamonds that graduate in size to the largest diamond in the centre. The diamonds total 0.55 carats and are G in colour and Vs to Si in clarity and have all the charm and passion of diamonds that were cut by hand over a century ago. Across from on side to the other, the distance measures 14.6mm by 5.5mm wide at the centre diamond. With wonderful clean hallmarks dating this to 1909, this is a delightful example of an antique diamond engagement ring from the Edwardian period.